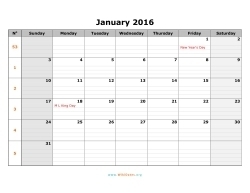 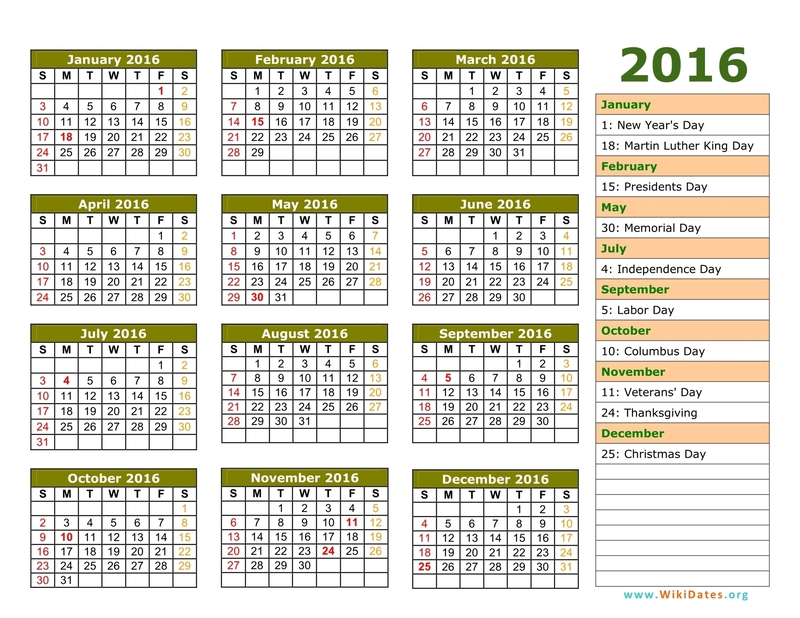 • Download Printable Yearly 2016 Calendar and Monthly 2016 Calendar with federal holidays and week number as MS Word, PDF (Adobe Reader PDF) and JPG (Image format) in US letter paper format. 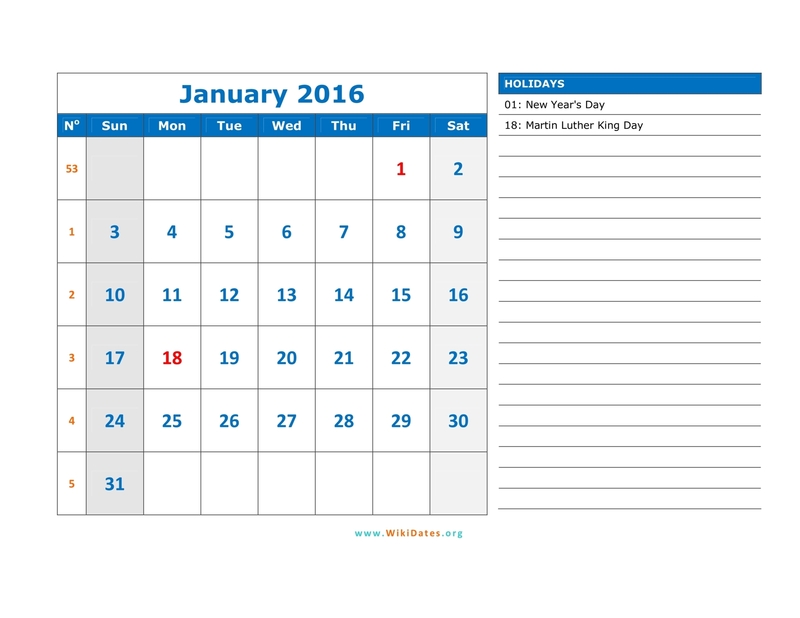 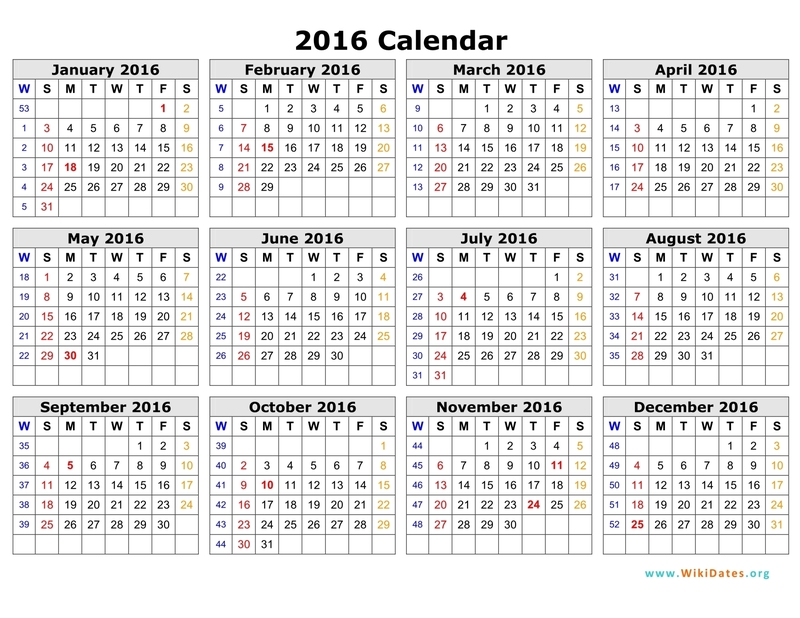 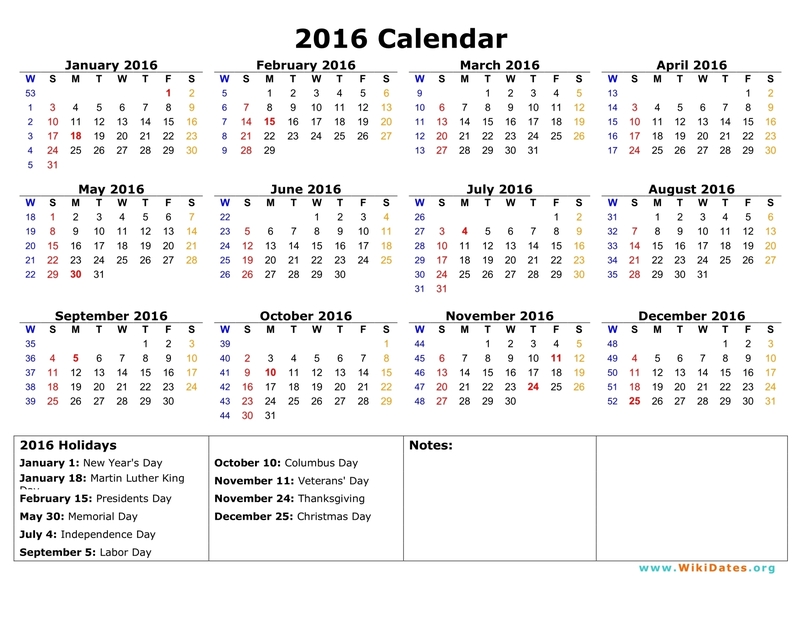 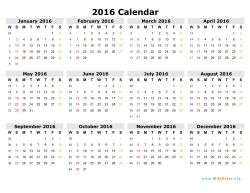 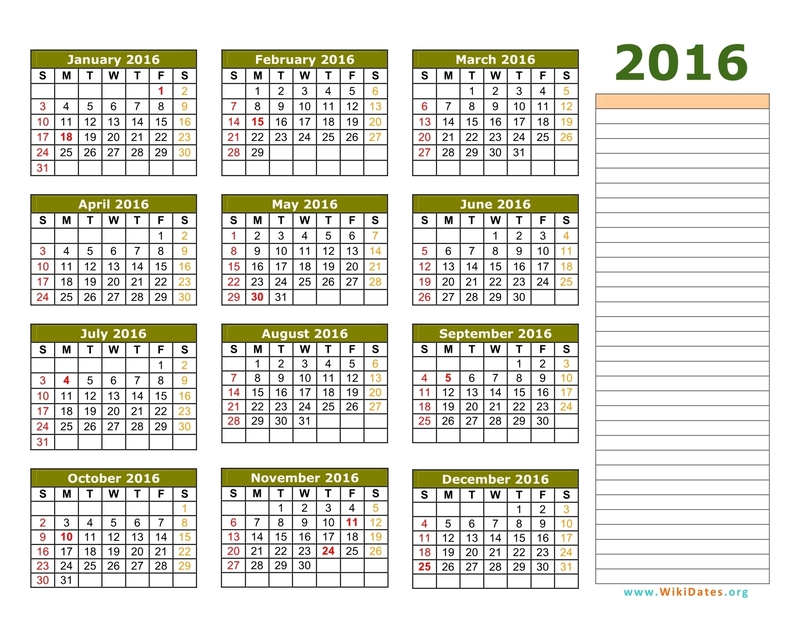 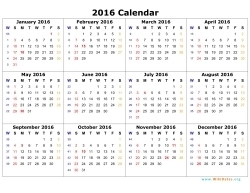 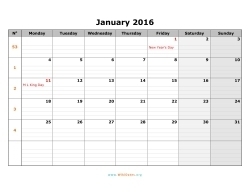 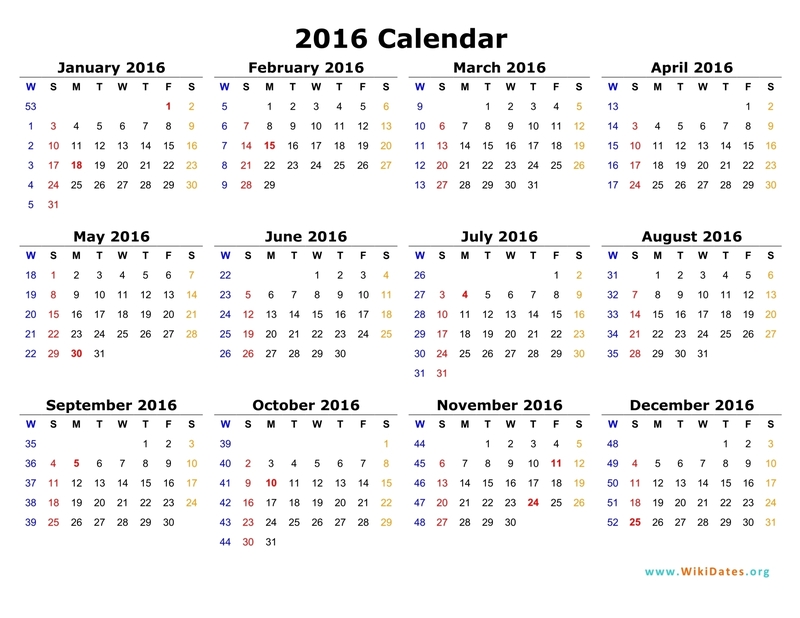 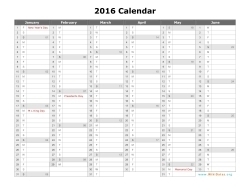 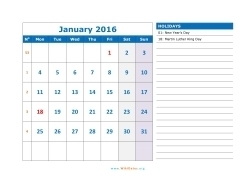 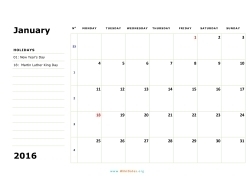 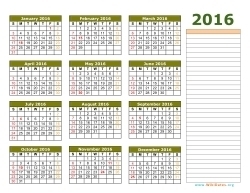 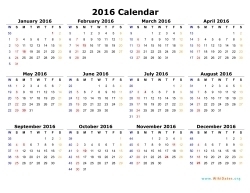 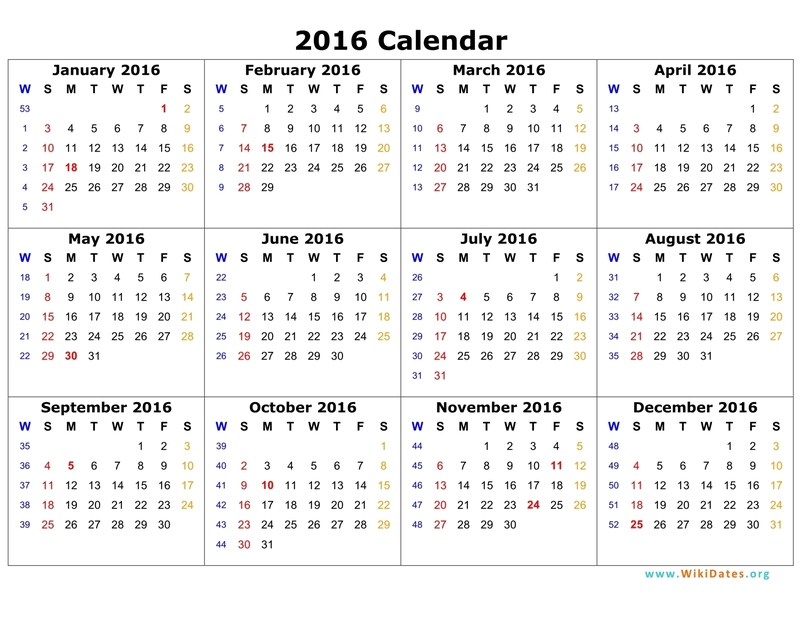 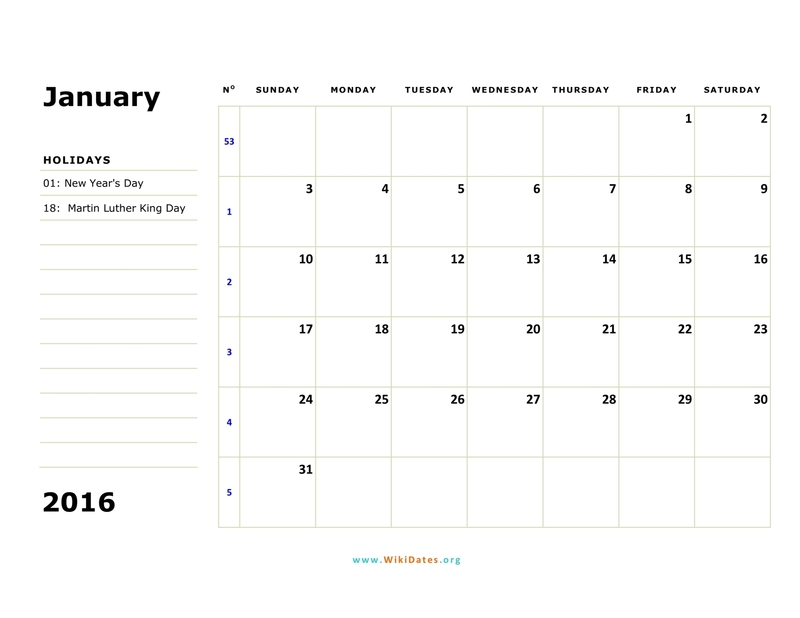 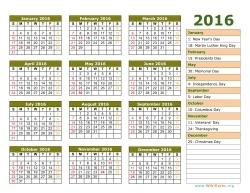 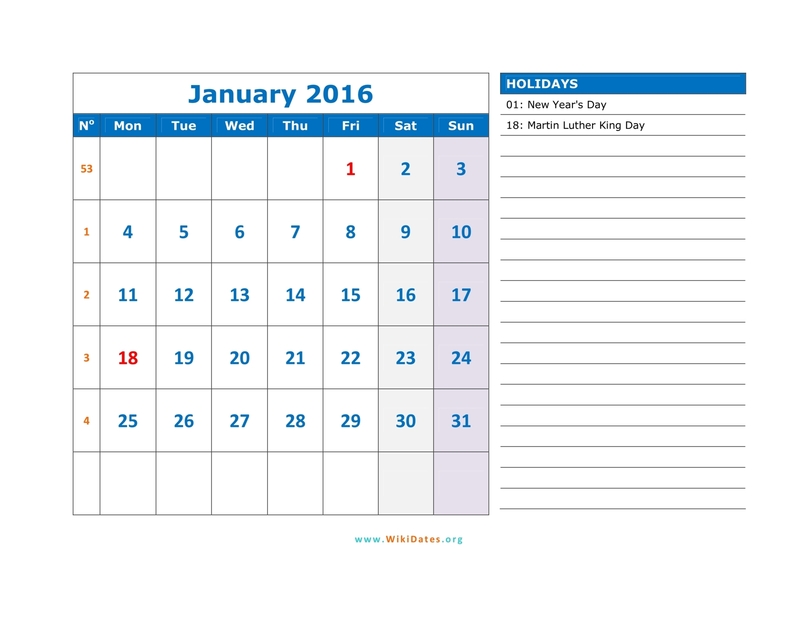 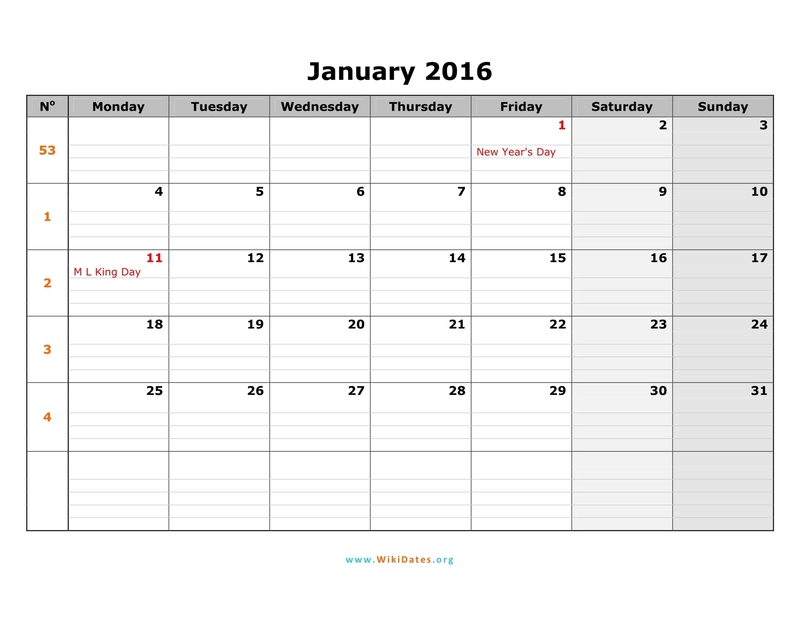 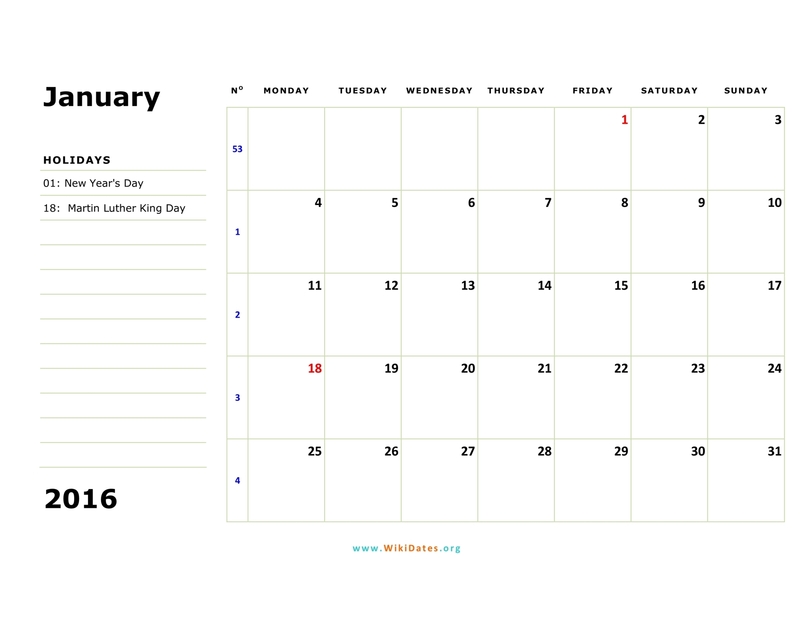 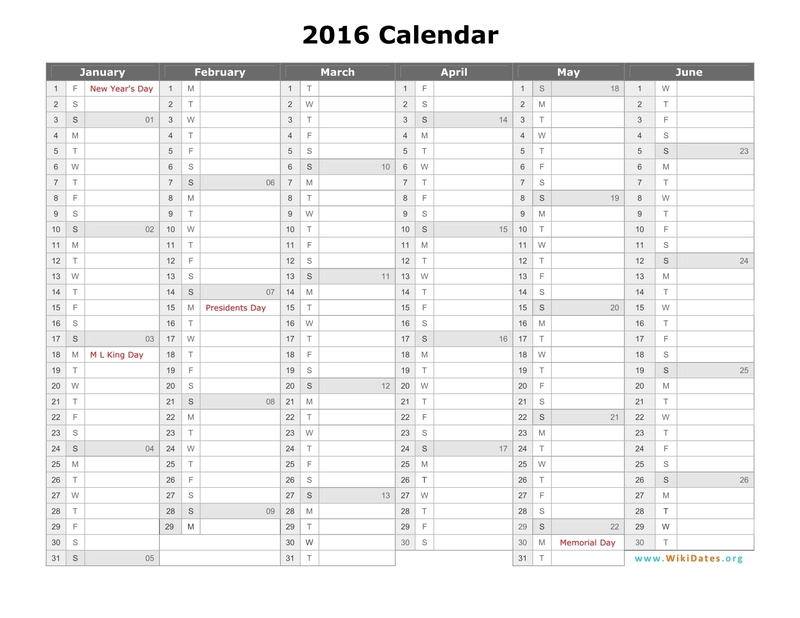 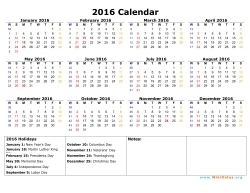 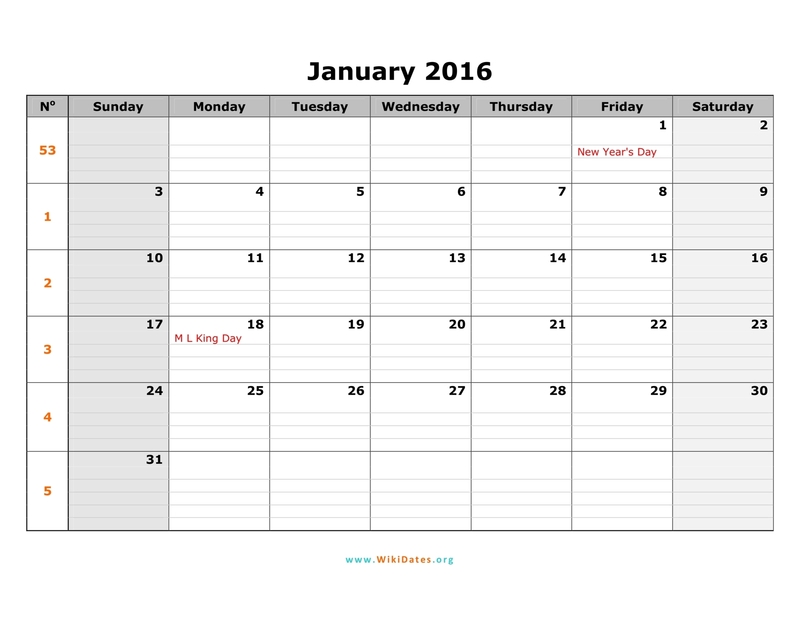 • Printable Yearly Calendar 2016 with 12 month calendar 2016 on one page, including federal holidays and week number. 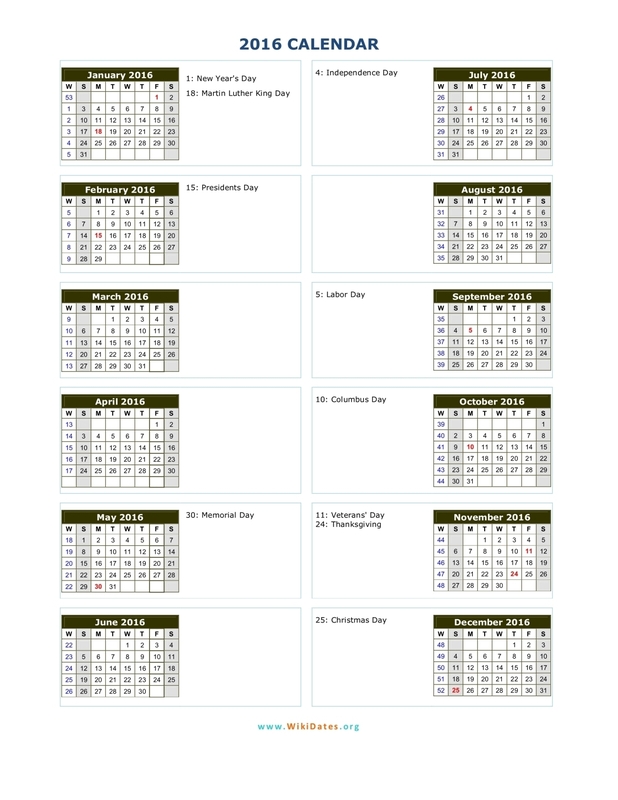 • Printable Monthly Calendar 2016 with 12 month calendar 2016 on 12 pages (one month per page), including federal holidays and week number (Week starts on Sunday or Monday).